Meet your neighbor Jenni Little who was born in Monmouth, the daughter of Rick and Dianne Balmer, and raised in La Harpe. Jenni graduated from La Harpe High School in 1995 and went on to Western Illinois University in Macomb acquiring her degree in graphic communications. She graduated in 1999. Jenni went on to work as a graphic designer in the Center for the Application of Information Technologies at WIU. Since 2004, Jenni has worked with First State Bank of Illinois on contract as Marketing Assistant/Designer in the corporate office in La Harpe while helping her husband at Little Brothers. 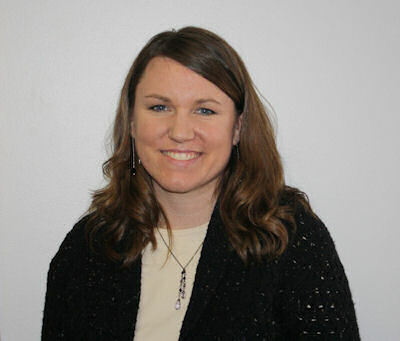 Since June last year, Jenni has been employed full-time at First State Bank as Marketing Officer at the corporate office in La Harpe..
Jenni married her husband, Eric Little, in 1996 and they have 2 sons, Logan-7, and Kaden, 3 years old. The family is active memebers of the La Harpe Christian Church. Jenni and Eric live south of La Harpe on the Little family farm. In her free time, Jenni enjoys scrapbooking, spending time with family, and traveling whenever time allows. She has also been very active in the La Harpe Golden Rule Club and various other activities centered around the La Harpe community, the school, her family and their church.